When we say that it's wild, we mean it! Hemscott Hill Farm is a unique opportunity to get away from modern life in an open meadow and dune space on a Northumbrian farm. We operate a pop-up site that is open from the end of July to the end of August only. We aren't offering fancy glamping experience with posh facilities. 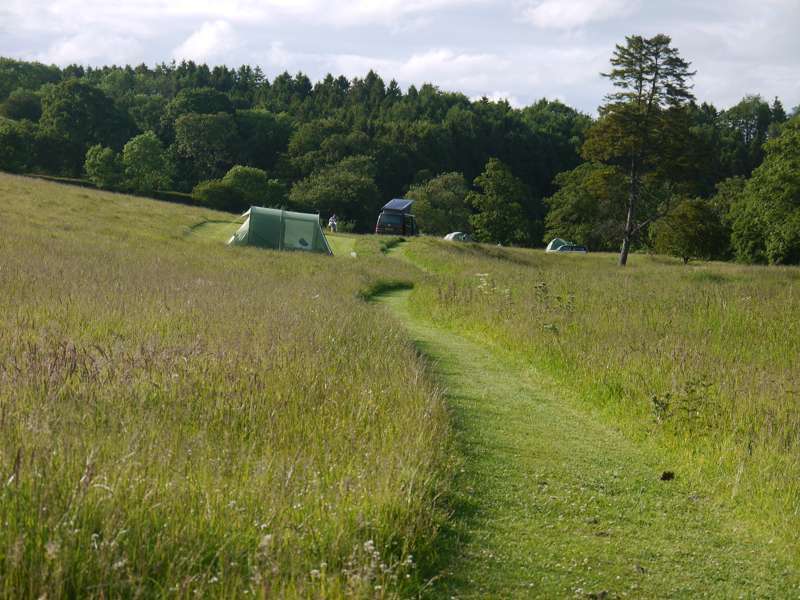 Our camping area is made up of beautiful furnished Bells & Whistles tents, a small cosy Shepherd's Hut and basic facilities for regular campers, a combination of a cooking & washing up shed, compost loos and hot showers available at the farm. There are no electric hook ups and we unashamedly steer clear of that 'fancy stuff' we want to stay as 'wild' as possible. 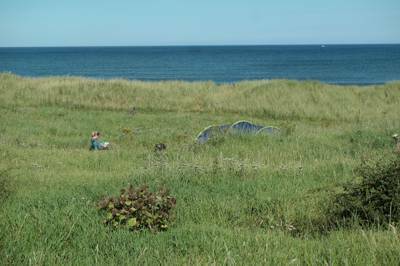 Our farm is on a lovely quiet and sandy beach at Druridge Bay that you can easily wander over to and enjoy a barbeque or a dip in the clean water. 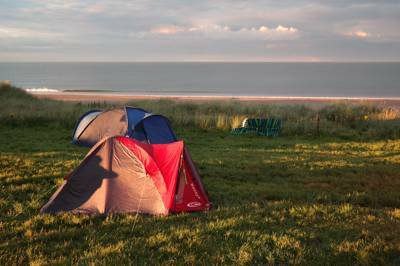 Watch the sun rise on the beach and set over the ponds and into the distance. May – September. Advanced booking essential. 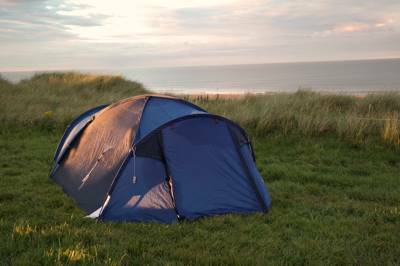 Camping from £15 per night. 2-night minimum stay on weekends (3 on Bank Holidays). See website for full details.